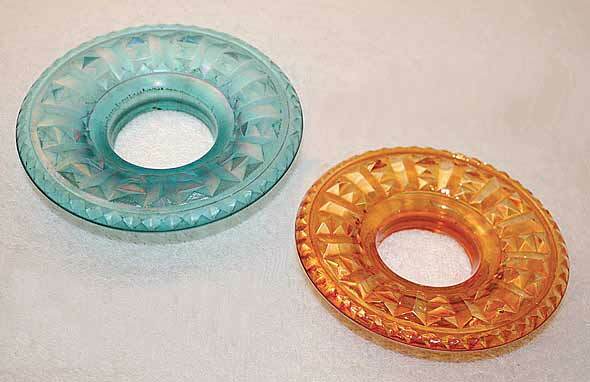 These little disks, about 2 1/2 inches in diameter, were used around candle holders to prevent the wax from dripping down. They're quite scarce in marigold, rare in the aqua shown here. Marigold tend to sell for around $25 each. A set of four in marigold sold for $20 in 2015.